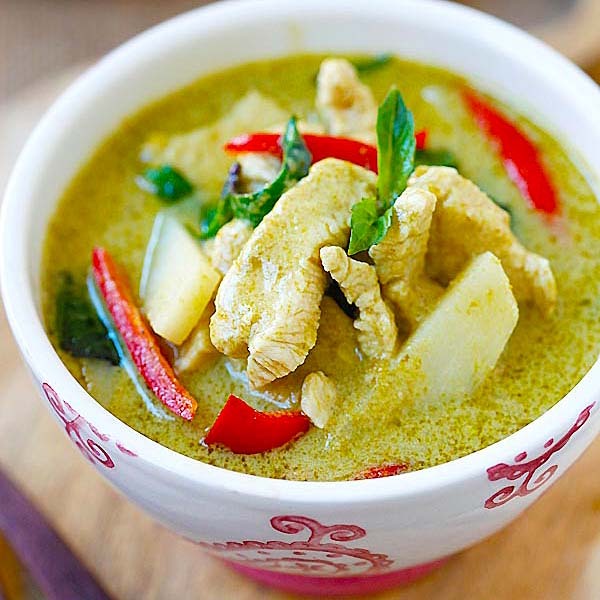 Please welcome Wiffy of Noob Cook to Rasa Malaysia today. She is sharing with us a Chinese New Year recipe called 花开富贵, or stir-fried broccoli and scallops, which means richness and abundance. 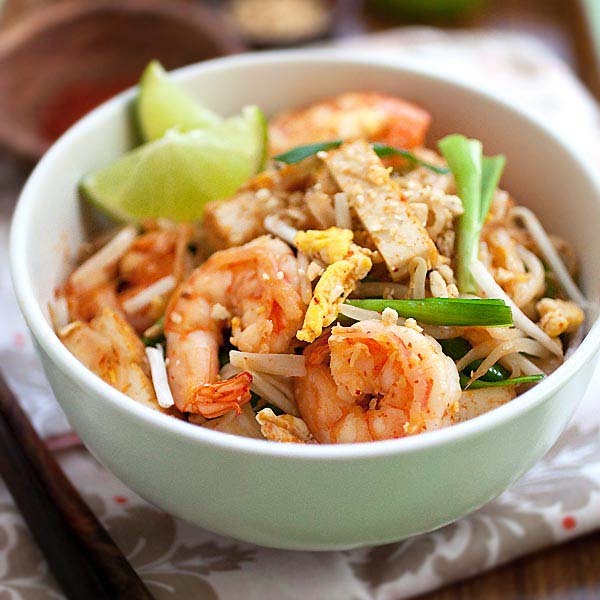 Noob Cook is a great Singaporean food blog with many delicious home-cooked recipes, I have to say that Wiffy is certainly no noob in the kitchen as she constantly whips up droolworthy, delicious, and homey dishes. Hop over to Noob Cook and check it out yourself. This broccoli and scallop dish pairs perfectly well with other Chinese New Year recipes that I have recently posted. Broccoli and Scallop is one of my favourite dishes to order when I eat out at our local zi-char stalls or Chinese restaurants. However, it’s usually not cheap presumably because of the fresh scallops. That’s why I like to make this at home. 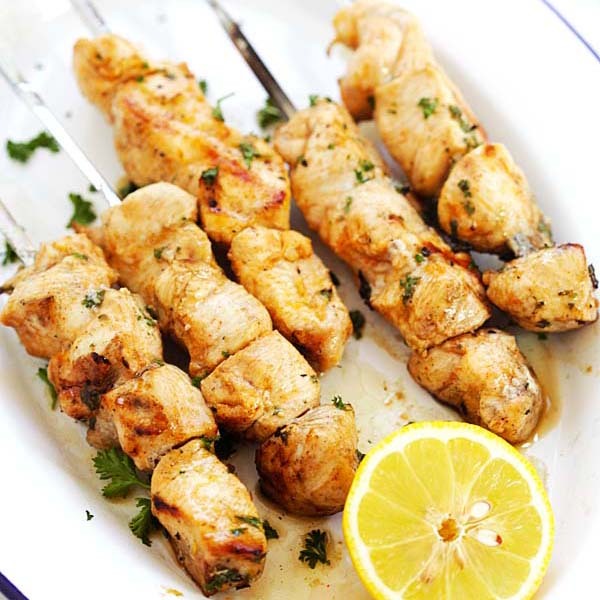 Being a noob cook, I am unabashed about my non-purist way of cooking, and hence I would like to share my short-cut way of remaking this dish at home. The method is super easy – simply blanching the vegetables in boiling water for just a few minutes, and then creating a fast and simple cheater’s sauce using instant vegetable stock and corn starch solution to drizzle over the vegetables & seafood. While this dish is small in effort, it is big in taste and also easy on the wallet. With Chinese New Year coming around the corner, this is an auspicious and colourful dish to serve to your family. The broccoli florets and carrots sliced to flower shapes symbolise richness and abundance (花开富贵). Broccoli and scallops is an easy Chinese vegetable recipe that is great for all occasion. Fresh broccoli with scallops in a sauce make it a great dish. Heat a large pot of water with vegetable oil added. When the water is boiling, add sliced carrots and broccoli and blanch for 3 minutes. Take them out and set aside. If you like, you can plunge the blanched broccoli in an ice water bath so that they retain their bright green hue. Add ginger slices to the water you previously used to blanch vegetables. When the water is boiling, blanch clams for 1 minute and scallops for 2 minutes. Take them out and set aside. Arrange blanched vegetables & seafood on a round serving plate. Place the broccoli around the plate with the stem pointing inwards, after which arrange the scallops, clams and broccoli in the center, covering the broccoli stems. To prepare the sauce, dissolve vegetable cube in hot water. Add vegetable stock to a saucepan/wok. When it comes to a boil, add cornstarch solution, bit by bit, till it reaches the desired consistency. The ideal consistency (to me) is something slightly lighter than the thickness of oyster sauce. If you sauce is too watery, add more cornstarch solution; if it is too thick, just add a bit of water. Pour the sauce over the vegetables you arranged previously and serve immediately. I'm quite fussy about the freshness of the scallops used. Therefore, I always buy the bigger ones sold at the fridge section of NTUC (they cost around $1 per scallop) because they taste juicier and fresher. I find that the scallops sold in a box at the frozen section (the last I checked, they cost around S$9 per box, and there are at least 30 scallops inside) though much cheaper, are smaller and a little “fishy” in taste, at least to me. Yummy! Broccoli and scallops are two of my favorite foods. The colors in this dish look great too! You are right, this dish is super expensive if you order at restaurants, because of the scallops! I love this dish too, the scallops are always so QQ and sweet. I also love scallops with celery, drool. Wiffy – I almost forgot about pacific clams, loooooove those. Back home, we only eat pacific clams during Chinese New Year as family and friends would give the canned pacific clams to us. I have to try and find them at the Chinese stores here for CNY! Thanks for sharing such a beautiful recipe. Your scallops looks so plump and juicy – they are one of my absolute favourite seafoods! Happy Chinese New Year to you both! So proud of you Wiffy! :D You did an awesome job with these dish and the photos! This dish not only looks good but good for us too. 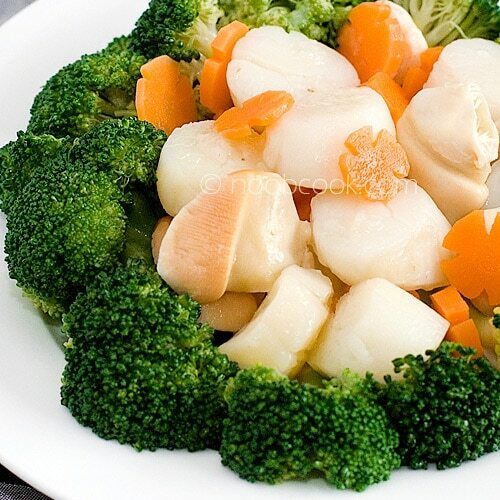 Not a vege and seafood fan but this is something I would love…my two faves – broccoli and scallops! How have you been? MW, I have been great. How are you? Hope all is well with the KL gang. This looks so fresh and delicious! I’m going to share it with Mom – she would love this – all of her favorites. 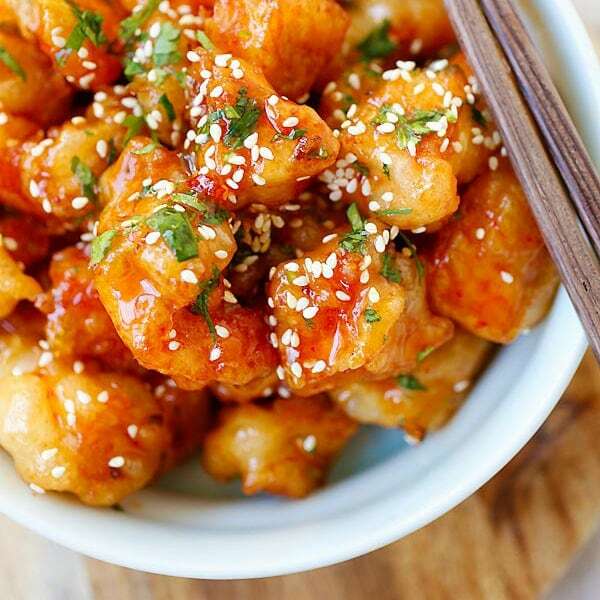 thanks for your recipe, i would love to try in this CNY. but, how about the vegetable cube. what is the brand you use ?? any specific flavor? Stumble onto your broccoli with scallop recipe after I have cooked one today from left over scallops (not open) since CNY 2011. Although my family like the broccoli & scallop that i cooked, I find the scallops is not so white as those in the restaurant and yours. I have use 1 packet during EVE CNY 2011 for steamboat and found that the scallops were not so white as well. I noticed that you mention that you get the scallops from NTUC (Hmm, must try to get some to try out). But you mentioned that you are based in USA, I presumed must have moved to spore. Thank you letting us know where to get good fresh scallops.